Hi Everyone! I first met Kylie at the Birmingham Blog Camp way back in April, or at least, we thought we met, but I suspect that in reality the knitting in our bags pulled us together with its yarny magnetism. I’m a wife, a Mama to a rapidly-approaching-two-year-old and most of all I make things, mainly out of wool. A lot of things. 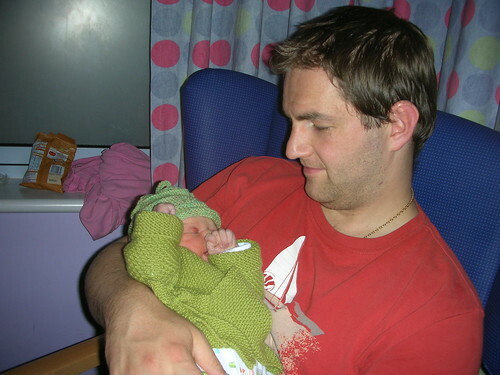 So in the spirit of enablers everywhere I come to give you my top ten list of beautiful things to knit for tiny people. I should caveat this by saying that although I haven’t walked in the shoes of many of the Mamas who read here, Kitty being a 42 week and 1 day gestation who required a little persuasion to make her entrance to the world, our road to parenthood has not been smooth and uneventful, and this isn’t going to be a list of the top ten cutest outfits for full term babies. I am a firm believer in the soothing power of knitting and it has often given me comfort, inner calm, and the ability to do something when nothing could be done. 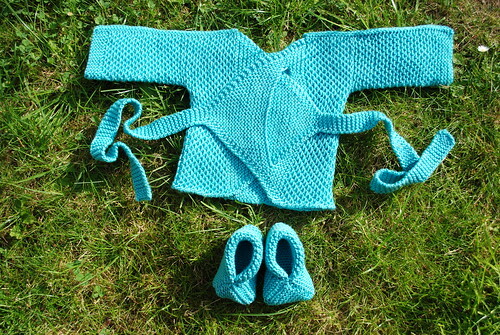 There are things on this list to knit for babies of all shapes and sizes, and I hope you will be tempted to enjoy making them. Quick, cute and often easy, what’s not to love. If you’re a relatively new knitter and you want a baby hat, cast on stitches in DK weight wool on 4mm needles until it’s about the width of your handspan, knit every row until it wraps snuggly around your baby’s head, cast off, sew into a circle then sew one of the edges shut and bingo – baby hat! You can adjust the size easily and the little loop on the top is really handy for pulling the hat off a sleeping baby when you come in from the cold and you don’t want to wake them up! 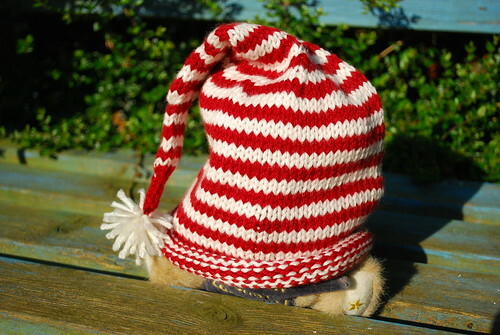 The runner up is Candy Cane by Susan B Anderson (Ravelry link) published in her wonderfully named Itty Bitty Hats book. 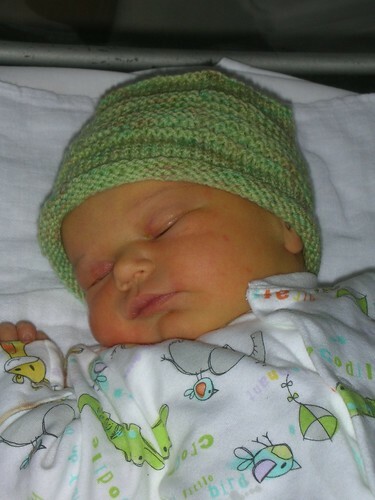 I made one for Kitty before she was born and it still just about fits her now, such is the power of the fold up cuff. It also made for some great Christmas card photos! Faith in the instructions leads you to construct what can only be described as a garter stitch amoeba which by the miracles of folding and sewing two seams turns into a sweet little cardie that is incredibly easy to get on and off a newborn, has no uncomfortable seams for him or her to lie on, and somehow lasted Kitty from newborn all the way to 6 months without every looking like it swamped her. At the time of writing there were 17,711 projects on Ravelry for this pattern. Enough said. 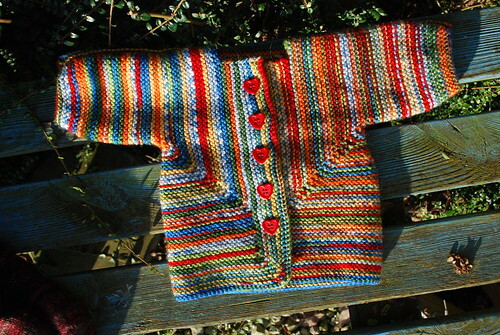 Honourable mention goes to another unusual construction in the form of Judy’s Grandmother’s Baby Sweater, (Ravelry link) published in Greetings from Knit Cafe. It’s a wrap cardigan, and thereby easy to get on the baby, with a honeycomb stitch that adds extra warmth and snuggliness without adding bulk or weight to pin the baby down. Kitty may have come home from the hospital in a Baby Surprise Jacket, but this is the first cardigan she ever wore. 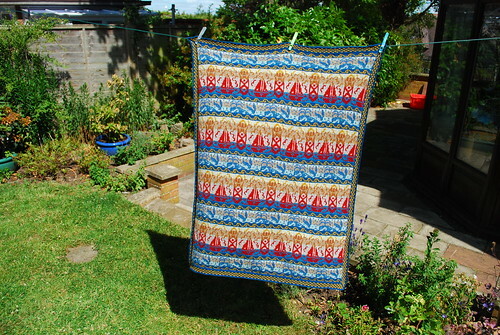 There are some amazing and beautiful blanket creations to be made and admired so this is a tough one to call. But I think my winner must be the blanket I’ve made most often to give to friends and family, Debbie Bliss’ Alphabet Blanket (Ravelry link), published in the Baby Knits Book (which incidentally also has the pattern for a wonderfully cute little smocked dress with sheep dancing around the hem). I once made one of these in 12 days under a bit of a deadline, and still liked it enough to make my own a year or so later. 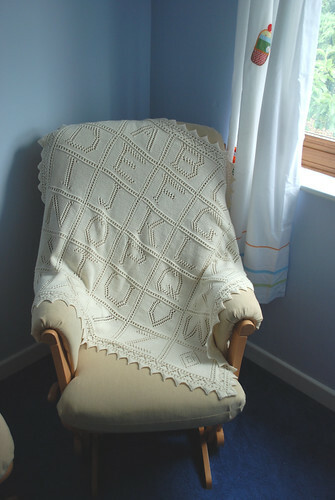 I’m also going to choose a pattern that’s been on my ‘to knit’ list for a while, but I haven’t actually made yet – enter the Moderne Baby Blanket by Mason Dixon Knitting (Ravelry link) from their book of the same name. If you click on the Ravelry link you’ll be able to see the vast aray of different blankets and different effects, all from a little garter stitch square or two. This is perfect ‘mindless knitting’, soothing and beautiful at the same time. Finally, I couldn’t let blankets pass without reference to Alice Starmore’s designs. Some of the patterns are out of print and difficult to get hold of, but a number of the patterns are sold as kits through their Virtual Yarns website. I made the Point Reyes blanket for Kitty and I’m planning on making one of the others for any more children we may have. It is the most technical and the most beautiful thing I have ever made. It has been suggested in the past that I am steadily populating the world with little tiny knitted elephants, so it should come as no surprise that Ysolda’s Elijah makes my top ten (Ravelry link). I am indeed responsible for 14 of the 2,560 Ravelry projects so they may have had a point. It’s stuffed and sewn as you knit it so you finish with a finished elephant, no chance for little tiny bits to get lost or sewn on crooked, and for that alone I would love it, but it also has arms and legs that are perfect for tiny fists to clutch and I’ve yet to see one that wasn’t adored. If elephants aren’t your thing, Ysolda also has patterns for some other wonderful toys. 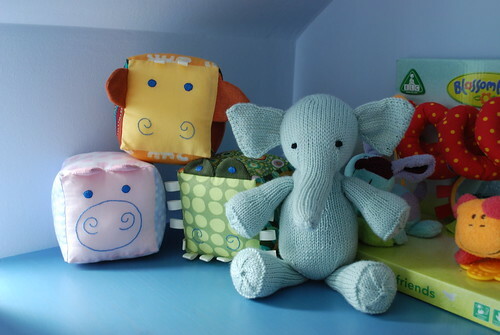 But continuing with an elephant theme, and if you’ll forgive a repeat designer, Susan B Anderson has a free pattern on her blog for a cuter than cute little Elephante (Ravelry link). It’s another one on my ‘must knit’ list. I hope I’ve tempted you to pick up the needles, but if you want a little sneaky cheat try Etsy, lots of lovely handmade knits by some very talented people!